All of these answers and more are discussed in this article. At the end of this article, you should have enough knowledge to start planning your own vertical farm. 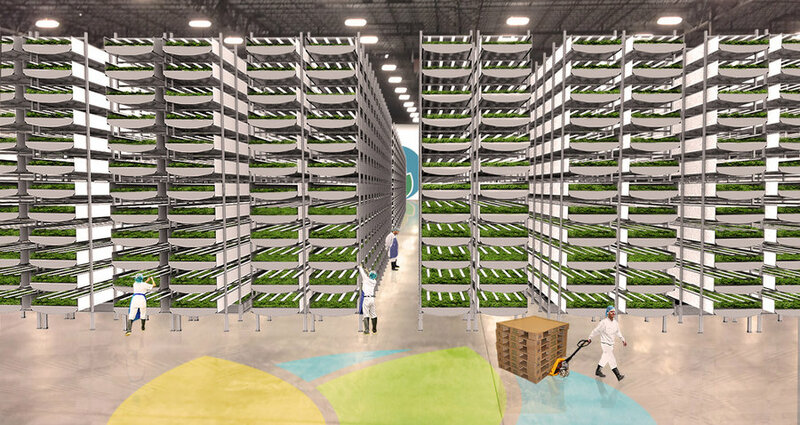 Most people think vertical farming is the process of growing vertically in “stacks” into the air. Although many vertical farms are built in large stacks of layers, the defining trait of a vertical farm is that the “plane” of growing is vertical, not horizontal (like traditional farming). Vertical farming can be in just in one layer (But usually it’s more). 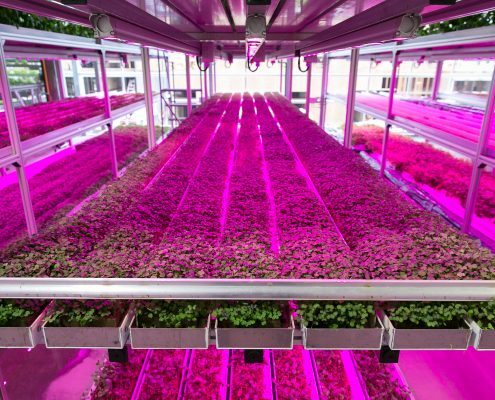 What is the history of vertical farming? The modern concept “vertical farming” was actually popularized in the 1990’s (over 25 years ago!) by Dickson Despommier, a professor of ecology at Columbia University in NYC. According to urban farming legend, Despommier challanged his students to implement a plan as an assignment. To produce food for all of Manhattan’s millions of residents using only urban rooftop agriculture. Integrating urban agriculture with not just city rooftops, but also all of the floors of skyscraper style buildings. 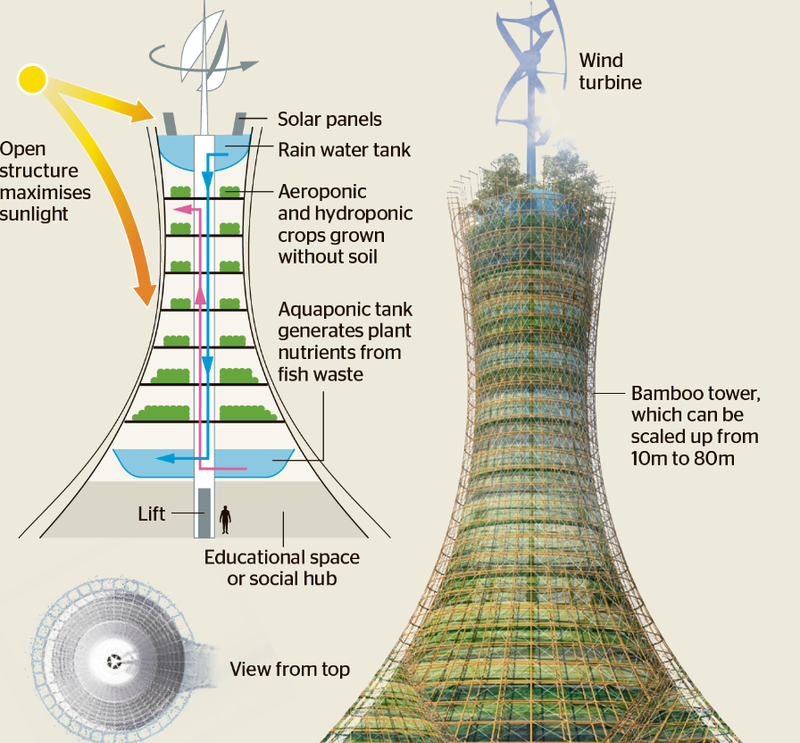 This concept could also be copied in independent vertical farming “towers”. Despite the creation of the vertical farming concept multiple decades ago, the term has (oddly) only become popular on the internet (as evidenced by Google search volume) over the past 5-8 years (see image above). What are the different types of vertical farms? 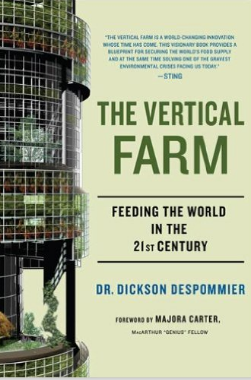 Many experts have actually criticized Despommier’s concept of vertical farming. – form over function: there are many critics of the Despommier vertical farming school of thought, for example, critic Stan Cox, a senior scientist at The Land Institute in Salina, Kansas and author of Any Way You Slice It: The Past, Present, and Future of Rationing has gone on record periodically since 2010 denouncing vertical farming (most recently in a February 2016 article in Treehugger.com titled “Vertical Farms: Wrong on So Many Levels“). – too expensive to operate from a financial perspective: from a unit-economics perspective, the profitability of vertical farming has been questioned (electricity usage, water usage, infrastructure cost). For this reason, community vertical farming has been supported over commercial vertical farming. 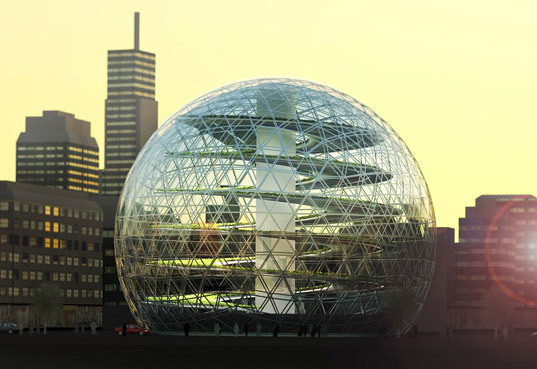 – too expensive to operate from a resource perspective (energy): a structure hundreds of feed tall would have issues with light pollution from the artificial lighting used in vertical farming and such a structure would require a lot of water to operate at peak performance (producing significant non-potable water waste). – reduction of stress on traditional farmland: overuse of traditional farmland is damaging to future production capability and expansion of farmland when current areas are not producing enough crop output leads to other negative effects like extinction of native species and environmental pollution. We’ve covered the pros and cons. The globe-like design of the Plantogon is not random. Fresh vegetables grow in the spiral structure at the core of the Plantogon starting at the top, then slowly slide down to the base of the building. The goal is to provide optimal light exposure for the crops based off of their stage of growth. The structure broke ground in February of 2012 and was expected to be completed in 12-16 months, but was not finished until late 2015. That’s almost 3x longer than expected. So…How big is the “Plantogon”? The structure occupies approximately 400 sq. meters of space and outputs 300-500 tons of food per year. According to CEO Hans Hassle, the cost of the building will be recouped in approximately 5 years due to its food production capabilities. Bok Choy and Chrysanthemum for early customers in Asian markets. In this interview on YouTube, Hassle defines vertical farming as maximizing the ratio of ground space and food output at its most basic level. Other benefits of this system? A more streamlined growing system allows for more competitive pricing capabilities: Hassle estimates 60% of vegetable prices in supermarkets is middleman cost not associated with the growing process. Vertical Harvest is 3 story hydroponic greenhouse in Jackson Hole, Wyoming, USA. It grows year-round and employs disabled members of local community. The facility is only 4,500 sq feet, (418 square m), and utilizes a similar “carousel” design to the Plantogon controlled by timers to optimize light exposure. Yield is approximately 100,000 pounds per year (45,000 kg approximately). The growing medium used by Vertical Harvest is coconut husks (Plantagon uses peat moss). Leafy greens, herbs (basil), tomatoes, and microgreens. Still craving more vertical harvest? (3) growing medium can be hydroponic, aquaponic, or even aeroponic (no soil or other medium). Non soil mediums like coconut husks or peat moss are often used. (4) Sustainability features that offset the energy costs of the farm may include: rain water collection tanks, wind turbines, multipurpose spaces in the structure not used for cultivation. You now know the basic background information relating to vertical farming. Vertical farming is growing at an incredibly fast pace (the market is pretty much exploding, and there’s ample proof). Getting to know the background of vertical farming, is just the start of your urban farming journey.